Beginner terrain that is good as you develop your backcountry skills and when the avalanche danger is higher. Click for details. Intermediate terrain that requires more experience in skinning and skiing. Click for details. Advanced terrain that requires strong skiing and skinning skills. Click for details. Expert terrain that is challenging and a small mistake can have serious consequences. Click for details. Extreme terrain that includes insanely difficult chute skiing and beyond. Click for details. The difficulty of this terrain varies widely. Click for details. This terrain hasn't been rated. Click for details. Although this slope was measured, slopes are not homogeneous—this should be considered approximate. Click for details. This slope angle was not measured. 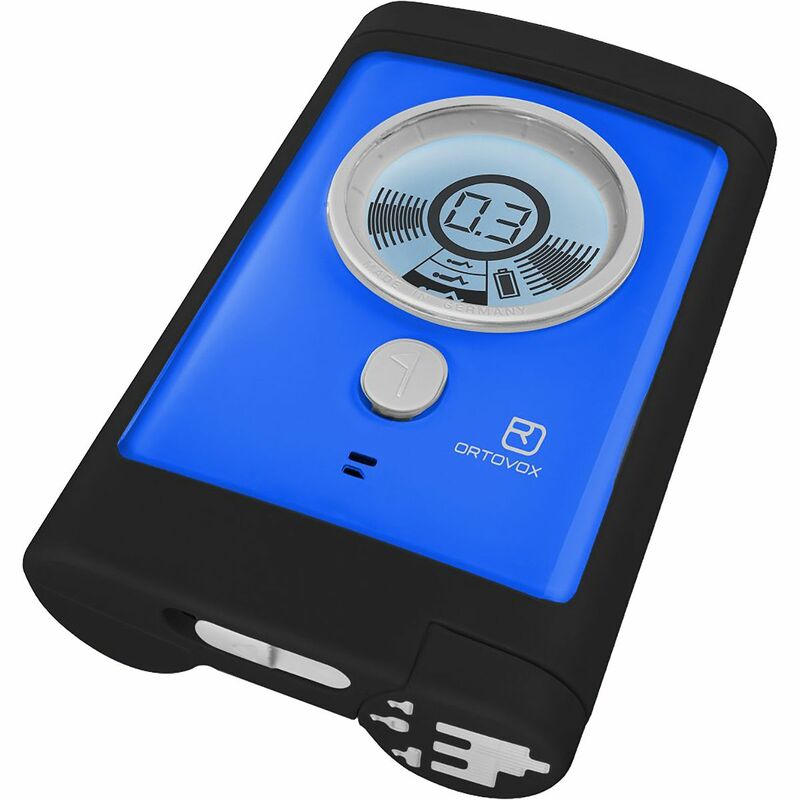 If you get an accurate slope measurement, please send it to me at info@vRigger.com. The slope angle varies widely. Click for details. This is the general direction the slope faces. Click for details. The Utah Avalanche Center says that dangerous avalanches are not expected in this terrain except during extreme or very unusual conditions. Click for details. The Utah Avalanche Center says that this is generally low-angle terrain although the route may cross under steep avalanche runout zones. Click for details. The Utah Avalanche Center says that this terrain has significant exposure to numerous commonly-occurring avalanche paths. Click for details. The Utah Avalanche Center says that this terrain is exposed to significant avalanche hazards often with multiple terrain traps. Click for details. This terrain can be accessed by resort skiers without skins. Click for details. This terrain can be accessed by resort skiers without skins. Snowmobiles are allowed. Click for details. This terrain is commonly skied by helicopter skiers. Click for details. This terrain is commonly skied by helicopter skiers and by resort skiers without skins. Click for details. This terrain is commonly skied by helicopter skiers, by resort skiers without skins, and by snowmobilers. Click for details. This terrain is commonly skied by helicopter skiers. Snowmobiles are allowed. Click for details. Snowmobiles are allowed in this terrain. Click for details. Mount Superior is across the road from the Snowbird ski area. 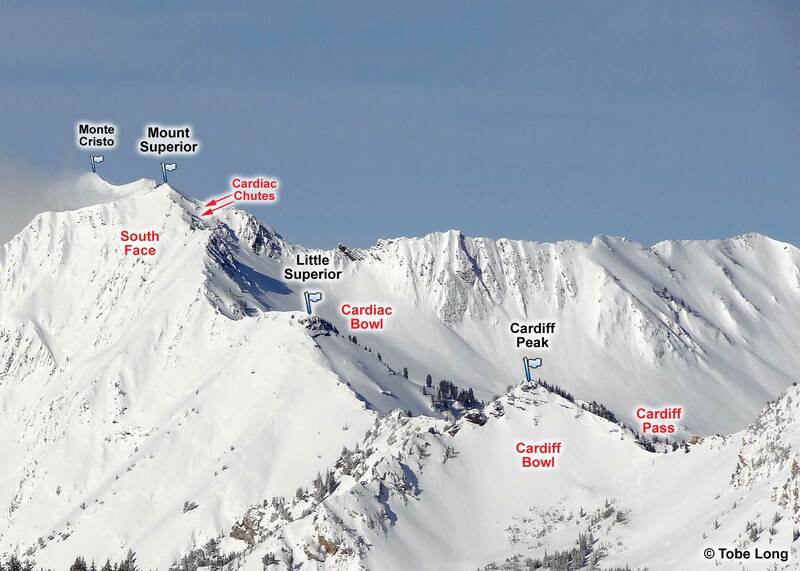 Superior stands above world-renown skiing, including Room of Doom in Mineral Fork, the Cardiac Chutes and Cardiac Bowl in Cardiff Fork, and the South Face in Little Cottonwood Canyon. The classic, and safer, route to the summit of Superior is to follow the route to Cardiff Pass from the Central Alta trailhead. From Cardiff Pass, traverse the ridge westward over Cardiff Peak and Little Superior to the summit of Mount Superior. Another option is to follow the route to Little Superior as described above, ski to the middle of Cardiac Bowl, and then skin up Cardiac Bowl (either up the Cardiac Chutes, or better yet, up the chute that is just east of the Cardiac Chutes). A third option, the "mountaineering approach," is to skin, boot, and climb directly up the South Face of Superior itself. This approach is steep, rocky, and not for the faint of heart. Most people abbreviate Mount Superior to Superior. Easy enough. Now it gets confusing. This peak isn't labeled on USGS maps. Instead, the USGS maps call the peak that is about 0.2 mile west of Mount Superior, Superior Peak, although almost everyone in Utah calls that peak Monte Cristo. And if you aren't confused yet, Little Superior is the peak that is about 0.3 mile east of Mount Superior. So going from the west to the east, the peaks are named, Monte Cristo, Mount Superior, and Little Superior.